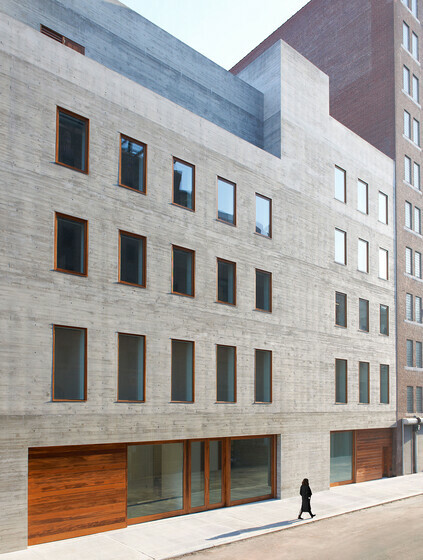 The first commercial art gallery in the US to obtain LEED certification, the David Zwirner Gallery expansion sets new environmental standards for urban art gallery spaces. For the architectural lighting in offices and the public circulation and stairwell, Atelier Ten designed a system of linear and point sources to provide discrete and efficient illumination that is also fully daylight-responsive. With stringent lighting requirements for optimal art conservation, and the desire for natural lighting, Atelier Ten conducted daylight analysis and advised on the size and orientation of skylights and windows that would help balance daylight in the gallery spaces. Built to accommodate large-scale exhibitions, this five-story, 30,000 square foot Manhattan art gallery space is an expansion of David Zwirner’s 19th Street gallery. 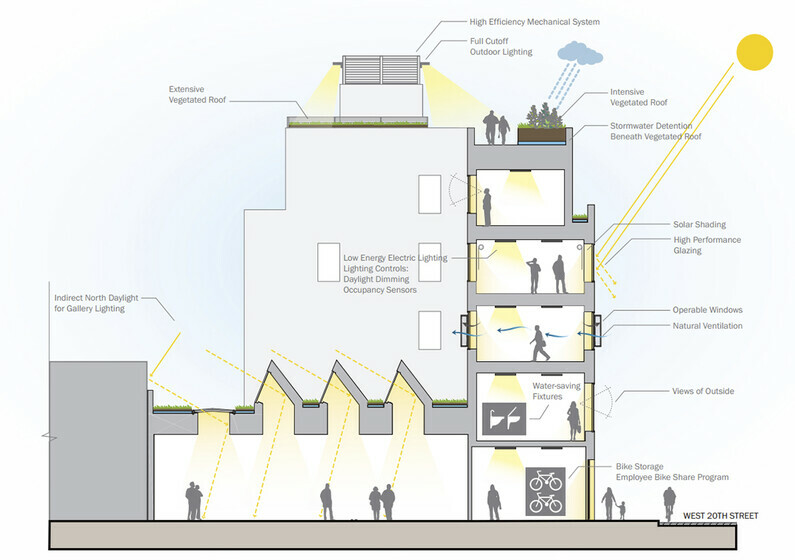 Atelier Ten advised the design team on sustainable design strategies, including low-flow plumbing fixtures to reduce the overall potable water use by 20%, an intensive green roof to reduce stormwater run-off and minimize heat-island effect, as well as the high-performance lighting and controls, premium efficiency HVAC equipment, and triple pane glazing, to reduce the gallery’s annual energy costs by 35%.